If you haven’t heard by now, WordPress will be changing in a major way in the next few weeks. The long awaited release of Gutenberg is happening. Named after Johannes Gutenberg (the creator of the movable printing press), Gutenberg will be replacing what you currently know as the text editor. The Gutenberg text editor is the first of three phases that are expected to be released within the next year. According to WordPress’s official site, phase 1 will initiate the change of the text editor and the content “blocks.” This is what you can expect in the November release. Phase 2 and 3 will be happening sometime in 2019. They will include page template integration and then full site customization. With the current editor, you’re limited on what changes you can make unless you know HTML or are willing to hire a developer. Now with the advent of blocks you will have the ability to format your content more freely. In all, there are 20 different blocks that will be coming with the release of Gutenberg. These blocks include images, paragraphs, quotes, and more. If your website is built with WordPress, you will be affected. It will affect all current installations of WordPress sites. 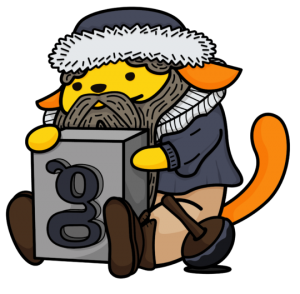 At Oozle we are expecting Gutenberg to affect our blog posts. Our themes on the other hand should be fine. How do I use it or turn it off? Once you update version 5.0 of WordPress, you will be opted in to Gutenberg. However, you’ll have the option of opting out by installing a plugin. If you choose to keep Gutenberg, it might be helpful to read some of the many tutorials about it. At Oozle we prefer to use the classic text editor when it comes to content updates and client trainings. It’s what our team and clients are familiar with, so we will be sticking to the status quo for now. However, as Gutenberg continues to be improved upon we will evaluate its use. We have already been taking steps to make our sites easier to edit for clients, and we’ll keep doing that. Just because we won’t be using Gutenberg, doesn’t mean you should miss out on the “Gutenberg” experience. In the infamous words of Nike, ‘Just Do It! You can still experience Gutenberg without being tied to it forever. If you don’t like it, you know how to turn it off. As with all major WordPress updates, Oozle’s web team has been keeping tabs on Gutenberg development by testing out Gutenberg on our themes and staying current with the latest Gutenberg development news. You can always contact us for help or advice if you need anything!